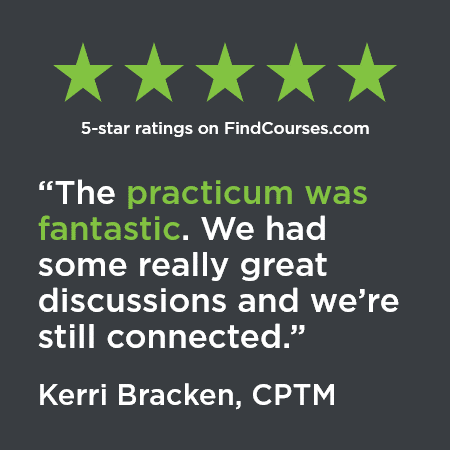 Becoming a Certified Professional in Training Management (CPTM™) is a three-step process. Step 2 is completing a live virtual or in-person practicum where you will apply the concepts and tools from the learning modules. View all upcoming practicums here. Can’t decide between a live virtual or in-person practicum? Learn more about the differences here. Learn how the Certified Professional in Training Management (CPTM) program can help you earn recertification credits for other HR and training certifications.